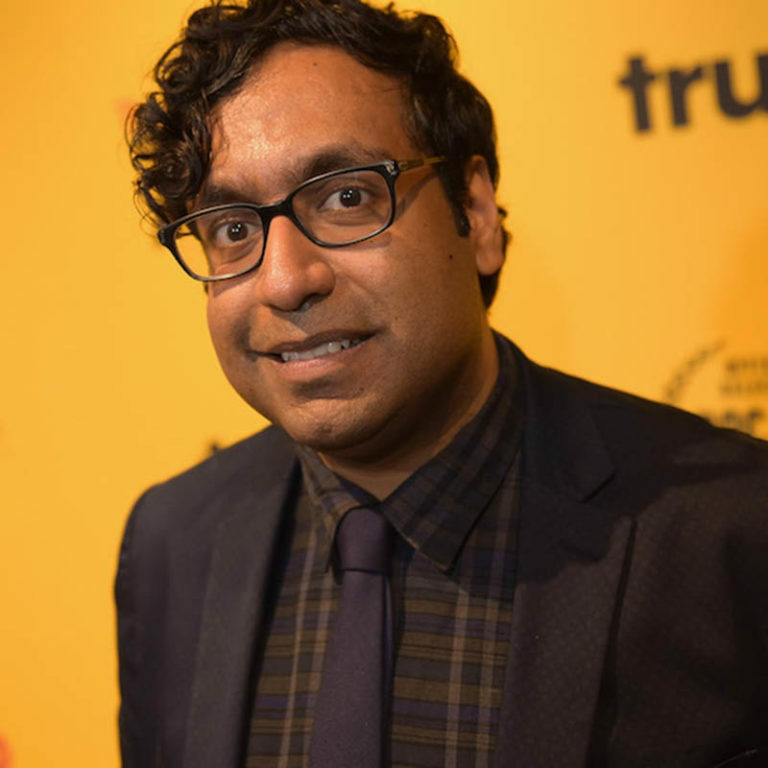 Hari Kondabolu is a comedian, writer & podcaster based in Brooklyn, NY. He has been described by The NY Times as “one of the most exciting political comics in stand-up today.” In 2018, his Netflix special “Warn Your Relatives” was released and he was named one of Variety’s Top 10 Comics To Watch. Hari has released two comedy albums two albums, “Waiting for 2042” & “Mainstream American Comic” with the legendary indie rock label Kill Rock Stars. He has performed on The Late Show with David Letterman, Conan, Jimmy Kimmel Live, John Oliver’s NY Stand-Up Show, @Midnight & has his own half-hour special on Comedy Central. A former writer & correspondent on the Chris Rock produced FX TV show “Totally Biased with W. Kamau Bell.” In 2017, he released his critically acclaimed documentary “The Problem with Apu” on truTV. Hari is a regular on the public radio gameshow “Wait, Wait Don’t Tell Me.” Hari has also appeared on such notable radio shows and podcasts as Fresh Air with Terry Gross, WTF with Marc Maron, 2 Dope Queens, Morning Edition, All Things Considered, Prairie Home Companion, Wits, Studio 360, and Bullseye. He co-hosted the popular “Politically Reactive” podcast with W. Kamau Bell and currently co-hosts “The Kondabolu Brothers Podcast” with his brother Ashok on Earwolf. In the UK, Hari has established himself with appearances on BBC 3’s Russell Howard’s Good News, Live at the Electric and Channel 4’s 8 out 10 Cats. He also performed at the Edinburgh Fringe Festival in 2011. Hari attended both Bowdoin College and Wesleyan University, graduating from the former institution with a B.A. in Comparative Politics in 2004. A former immigrant rights organizer in Seattle, Hari also earned a Masters in Human Rights from the London School of Economics in 2008. He was the NYU’s APA Institute’s “Artist in Residence” for the 2014-2015 Academic Year. Hari was born and raised in Queens, NY. He went to Townsend Harris High School and the school’s mascot, “Hari the Hawk,” was named after him during his senior year. He sometimes fears that his greatest achievement.